R.S.T. identifies errors that my other memory test packages do not? – Ultra-X, Inc. Many customers utilize various diagnostic test software packages. R.S.T. product however is hardware based and incorporates onboard processor, memory, noise pattern generator and more to rigorously stress test the memory subsystem. Ultra-X diagnostics are completely Operating System independent. This means no DOS or DOS derivative, no Linux and no Windows. Ultra-X diagnostics perform in the cleanest environment possible; This translates into providing the most accurate test results. Ultra-X diagnostics utilize in-house proprietary test methodologies. We develop custom proprietary test methods from failure anaylsis on defective components. 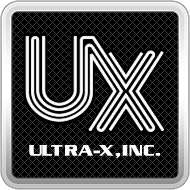 Ultra-X continually updates the product line, releasing a minimum of two updates a year. We strive to be the best hence; we detect defective hardware problems that other packages do not. If at any time you require further assistance, please call our technical support dept.